This roller shoes combined both of it. With high quality and fashionable design,It could be a great present for you child or you family.The roller shoes can combine two of it. It have amazing and fashionable design .It can be a good present to you child or you family. *Do not put the roller shoes into water. *you can use the soft cloth to clean them. *The battery could not be changed,could not be charged. 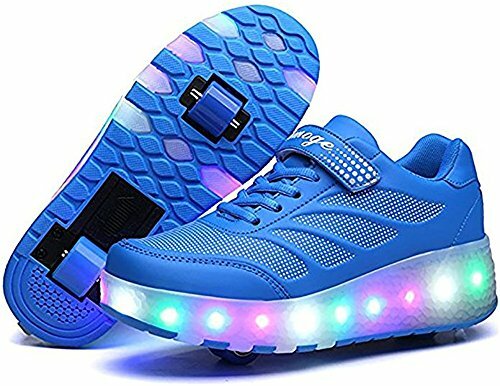 The LED lights around the sole of these fashion sneakers make you more attractive. To ensure your best fit, please have a careful check of size info before order. Should any doubts, please contact us directly.we will do our best to help you.